We are very excited this week as we have booked a holiday to France! Along with our friends and their children there will be 16 of us altogether and I have no doubt it’s going to be brilliant! I have some amazing memories of family holidays in France when I was growing up and always hoped to do something similar with my little family, and this year it all just kind of happened. We decided on the Vendee region – and although some of our friends would have preferred to go further south we felt the Vendee was the perfect compromise as we didn’t want somewhere too hot for the kids, particularly Lucia. As you can imagine, coming from Northern Ireland we are not accustomed to much heat and according to the internet, daily temperatures in the Vendee average at about 23-25 degrees. Perfect! We are all staying together in a type of ‘gite’ with a swimming pool and huge gardens with plenty of sunny and shady areas so we will be able to ensure that the kids stay cool. As excited as I am, I am also a little nervous too. The two main things are the flight and the heat and if/how they may affect Lucia, however I am quietly confident that she will cope ok with both – nevertheless, I would be very grateful for any advice or tips from those with more experience. Last year we flew to Denmark for a week’s holidays and she managed great on the flight. I would definitely say her legs and feet felt firmer when we arrived in Copenhagen, but after we did some lymphatic drainage massage on her it softened right up again and she was completely fine. She also wasn’t wearing compression tights last year, nor was she walking and wearing shoes so the combination of compression, shoes and walking up and down the plane a bit should ensure she manages even better this time. Any other tips? Last year our little country (for the first time in years!) had a glorious heat wave for two-three weeks with temperatures hitting 30 degrees! And I was so happy that 99% of that time Lucia was perfectly fine. Her swelling didn’t appear to get any worse, she didn’t seem to have much discomfort and she loved being outside in the garden. We bought a paddling pool to ensure both Lucia and Max stayed cool, smothered them in sun cream and kept them in the shade of our UV tent. The odd time it seemed like she had ‘restless legs’ and would kick them as if something was irritating her, but it didn’t seem to bother her too much. There was one incident however when Lucia was really quite distressed for about half an hour. From nowhere she just suddenly started crying and kicking her legs. Her poor right foot was so swollen it looked like it could burst and her soles were bright red and hot to touch. So we filled a sink of coolish water and sat her in it and she instantly calmed down. We then followed that with some lymphatic drainage massage which also seemed to bring her relief and she settled. Of course, my worrying went off the radar but she was back to normal and playing away in no time. Again, we weren’t using compression at this time and she wasn’t walking so I hope that both of these factors might ensure an episode like this doesn’t happen again. So far Lucia has managed her compression like a trooper! However, it has been winter and cold and totally normal to wear tights. I wonder how this will differ when it is warm. Obviously it is very important to keep them on in the heat to help her swelling, but will they feel unbearably uncomfortable for her? Are we going to struggle with them more? Do I keep them on all day? Our Lymphoedema Physio has suggested getting knee highs for the summer but I don’t know if they would be any better? I also don’t think tights under a floaty summer dress is the best ‘look’ for summer, but our little trendsetter will still rock it! All in all, we can’t wait to get away, spend time as a family, relax with friends and enjoy ourselves – France, here we come! Well, in a few months! Benefits of blogging and a big thank you! I started this blog less than two weeks ago in the hope that one or two families in the same situation may come across it and find some of our experiences helpful. I had absolutely no idea the response I would get and am still completely overwhelmed! It wasn’t an easy decision to put ourselves ‘out there’ as we are a very private family, but looking back at how isolated we felt following Lucia’s diagnosis, our aim was to try and help someone in the same situation to feel a little less on their own. Instead of just the one or two people we thought might read about us, it has been A LOT more. We have had so many amazing comments on the posts as well as a lot of beautiful and encouraging emails from so many people right across the world. I can’t begin to tell you how happy I am that this blog has brought comfort to some people and actually helped to make them feel like they aren’t all on their own. And the wonderful advice and kind words that I have received from all of the lovely people who have taken the time to comment and email has been invaluable to our family. And that is what it is all about. 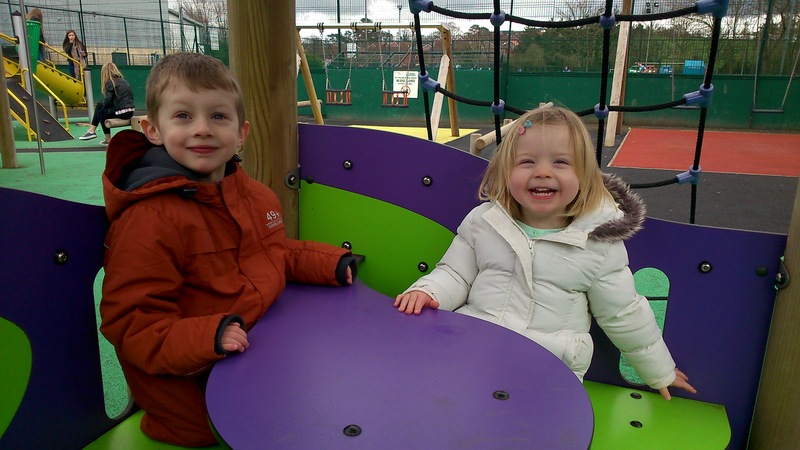 When Lucia was first diagnosed we were given no information – and I mean nothing! So obviously we turned to the internet for answers and it frightened the life out of us. It is often so difficult to navigate the internet to find useful information and more often than not you find the horror stories and photos. I remember desperately searching for positive stories of young children with the condition, someone I could ask my never ending questions to, someone who knew some of the answers, someone who could tell me ‘it will be alright’. But I could find nothing. So, almost two years later I decided to go for it. To try and be there for other families who felt like they had no one to turn to. Obviously we have had truly amazing support from our own families and we know they are there for us every step of the way – but like us they didn’t have the answers to the million questions that went through my mind. As I have mentioned in previous posts, finding our Lymphoedema Physio gave us a huge sense of relief (and I am pretty sure I have melted her head over the last 18 months!). She also helped us to arrange a meet up with other families in Northern Ireland who have a child with Lymphoedema – and that afternoon was priceless. It was almost as if we already knew each other and spoke the same language. The kids all played together while the parents talked and it was fantastic. We all gelled really well as we all had the same mindset – yes my child does have Lymphoedema but we aren’t making a big deal of it and they can do anything they want! We have another meet coming up in May which I am really looking forward to. Through this blog I get the same sort of feeling. The reassurance of one mum telling me her daughter has danced from age 3 despite her Lymphoedema, another mum giving me shoe advice and another how her son has just gone off to university and she hopes he wears (and washes!) his compression! It is a virtual community where we can all hold each others’ hands, share information and bring support, reassurance and confidence when we need it most. I know how much I have got from this blog already so thank you all so much – and I hope I can continue returning the favour. Running, dancing, bouncing, water baby! Toddlers have a bottomless pit of energy – this is a fact I am very familiar with! And when you put a five year old and a two year old together as in my house, I sometimes wonder how I am still standing by bedtime! However, I wouldn’t have it any other way. Children should be active and should enjoy walking, running, jumping, climbing and anything else that gets their little bodies moving. This is particularly important when it comes to managing Lymphoedema as exercise gets muscles pumping which then helps to squeeze the lymph vessels and keeps the lymph fluid moving away from the affected area. However, over-exercising can make Lymphoedema worse so it is important to find a happy medium. As Lucia grows up we will be helping her find this balance to ensure that she gets the best out of exercise while enjoying herself at the same time. In the early days, before I knew the ins and outs of the condition and before Lucia was even on her feet I used to worry if she would be able to walk properly and run around like other kids. Having danced ballet for 14 years of my childhood I had always dreamed about having a little girl who would want to do the same – and at one point I didn’t know if she would be able too. But of course, as time has went on we now know she can do anything she wants! I have even received a lovely email from a parent who has a little girl with Lymphoedema who has danced for years and won competitions! At 18 months Lucia found her feet and hasn’t looked back. She is very independent and insists on walking or running as much as possible. At times, trying to get her into the buggy can be a nightmare as she does the ‘toddler poker trick’ where she stiffens up and makes it impossible to strap her into it! We are thrilled she enjoys being so active and is pretty steady on her feet – especially when she is running away from us! When she gets tired she can stumble a little more and we assume this is because her right leg must be feeling a little heavy – but then all toddlers can look a little drunk when they are tired! 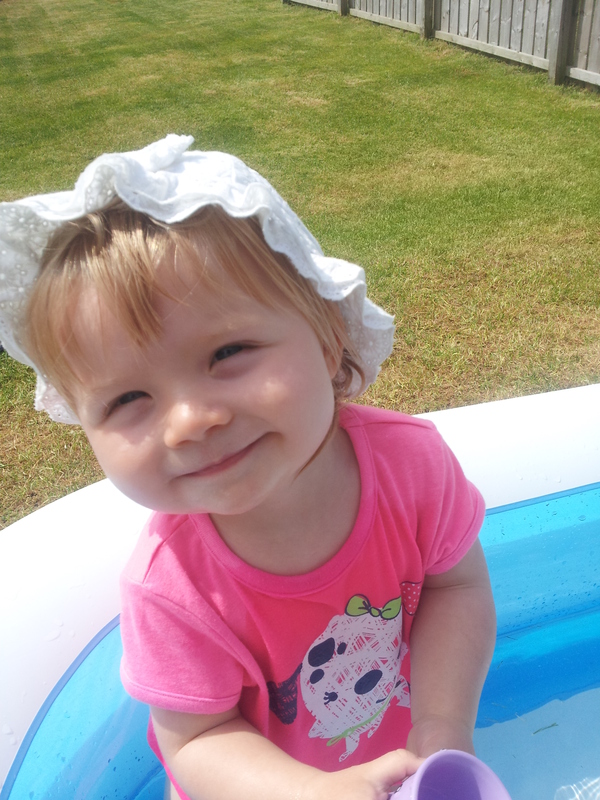 As well as running about with her big brother she loves to show off her dance moves to any type of music and particularly loves to bounce on her trampoline and splash in the swimming pool – two activities that we know are excellent for her feet and legs. 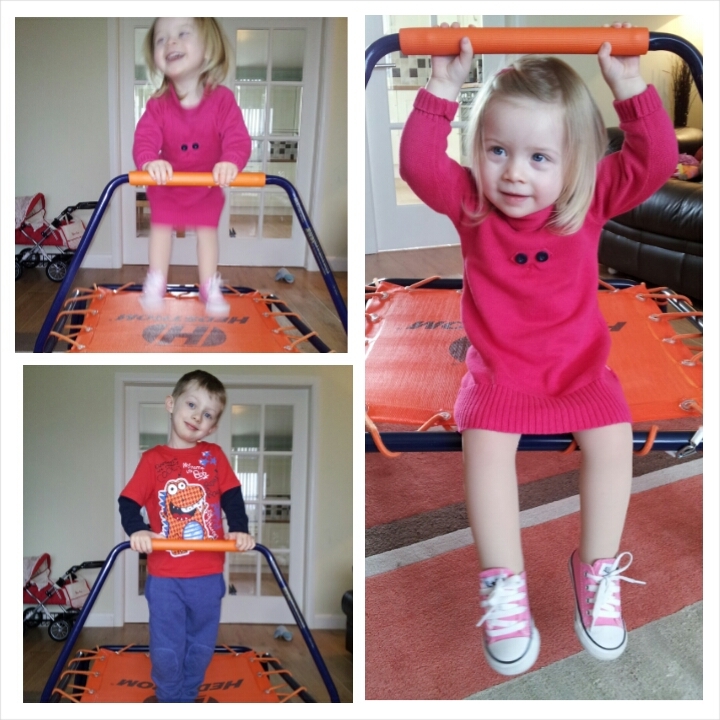 Believe it or not the trampoline – a mini one – stays in our living room so Lucia and Max can bounce whenever they want. Lucia has already mastered climbing on and off by herself and is really starting to get some air now as she is learning to jump higher. Bouncing is wonderful exercise for Lymphoedema. It makes total sense that it is good for the lymphatic system as all the jumping up and down and contracting of muscles helps to push the lymph fluid throughout the body. And as it is super springy it doesn’t put any strain on her joints either. But most of all, as she is jumping she laughs and laughs because she absolutely loves it! Then there is the swimming pool! Friday is swim day and when she wakes up and I tell her what day it is she says ‘mummy and ‘cia go to swimming pool!’. Water acts as natural compression so I can imagine it must feel lovely for Lucia. The movement of the water against the body also helps with the movement of the lymph and blood as the muscles and skin are stimulated by the water. For the whole time we are in the pool Lucia giggles and splashes, kicks and squeals and by the end of the session doesn’t want to get out! She is already sitting on the side and launching herself into the pool, kicking her legs like mad, going under the water, down the little slide and overall just having a whale of a time! Getting out is the worst part as we try and get into a warm shower and dressed as quickly as possible! Not so easy when there are compression tights to get on but with a LOT of talcum powder and a little bit of bribery called chocolate, we have it down to a tee! In between bouncing and swimming, dancing and chasing after Max, Lucia also loves getting outside, pushing her baby’s buggy and playing in the garden – though the Northern Ireland rainy weather can sometimes make outside fun a little tricky! However, as my mum always says ‘you won’t melt in the rain’, so all we need now is to find a pair of nice wide welly boots and we can start splashing in puddles! If the Converse fits…wear it! So yesterday I was doing a bit of a clear out and found an old pair of navy Converse shoes in a size 6 that Max used to wear – they were his first pair and being bit of a sentimentalist I decided they couldn’t be thrown out as they were too cute! Then I suddenly remembered that my husband had mentioned trying them on Lucia when I found them because when we met up with a few other families in Northern Ireland who had a child with Lymphoedema, one little boy who had the condition in his feet was wearing Converse. So I got very excited and tried them on her! And guess what? They fitted ok! Because I could take the laces right out of the shoe on the right foot I was able to get the shoe on, then put the laces in and adjust them to suit the swelling. It was also 4pm and she had been in her compression tights all day so her foot was in great shape for trying them on. Lucia – who can be quite the little girly girl at times – got just as excited as me about her ‘new shoes’ and instantly made me take her out for a walk in them! I watched as she pushed her baby in its buggy up the street and she looked completely comfortable walking in them and when we got back didn’t want to take them off. So we kept them on for a while following a great bit of advice from a lovely person who had read this blog and emailed me about keeping shoes on throughout the day to help with compression. When we took them off her feet were great – particularly her right. It felt soft and looked so much flatter and there was no marking on her feet that made me think the shoes were doing her any harm. I would even go as far as to say it is the best her little foot has look yet. So today, we went to the local shoe shop and bought her a pair of Converse – in pink of course! And obviously, she totally rocks them! Happy Saturday!